Regis Aged Care is committed to developing new aged care programs and services that meet the rapidly changing needs of our ageing population and improve our residents’ quality of life and care. We constantly look for new ways to enhance our quality of care with innovative therapies and activities in our aged care facilities. Examples of our current programs and services are as follows. Our dementia care combines quality aged care with innovative therapies such as our new PARO therapy. PARO is a robotic seal (carebot) and since coming to Regis in 2015 it has enjoyed immense popularity with our dementia residents. The aim of PARO Therapy is to improve the well being and clinical outcome for residents through the use of the therapeutic robotic seals (PARO). This is usually with residents who are resistive to standard intervention practices. With 48 seals in use nationally, we are committed to using PARO therapy to improve the well being of all our residents. Our Victorian Roving Art Therapy program was launched over 2 years ago with classes designed to cultivate creative expression. These classes utilise a variety of mediums including stencil, collage and painting whist providing a relaxing social environment for attendees. Our Roving Art Therapist teaches classes at 10 facilities per week. 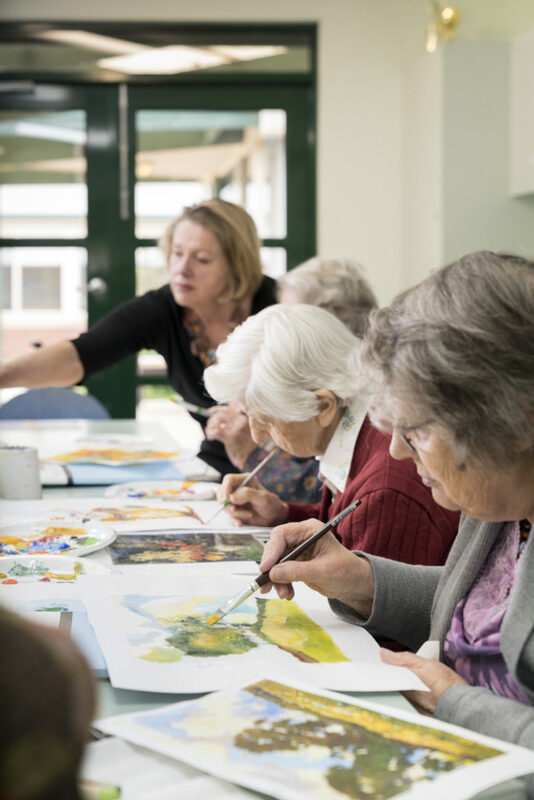 When delivering classes in the dementia units, calm is instilled in those who are painting and attendees feel a sense of achievement and pride when creating a work of art which is often put on display within the facility. Music Memories is a therapy program launched in Victoria earlier this year. It focuses on improving a resident’s mood and behaviour with individualised music programs designed to evoke a positive response while providing a pleasant activity for those in dementia specific care. Subsequently we’ve seen improved engagement and socialisation as it offers a meaningful activity for those who can find it difficult to engage and remain calm. As part of our commitment to continuous improvement, Regis has worked with Alzheimer’s Australia to identify how to best optimise living and communal spaces in each of our dedicated dementia units and living areas. This includes the selection and layout of furniture, fittings and equipment to help residents with memory loss identify their rooms through individualise materials. 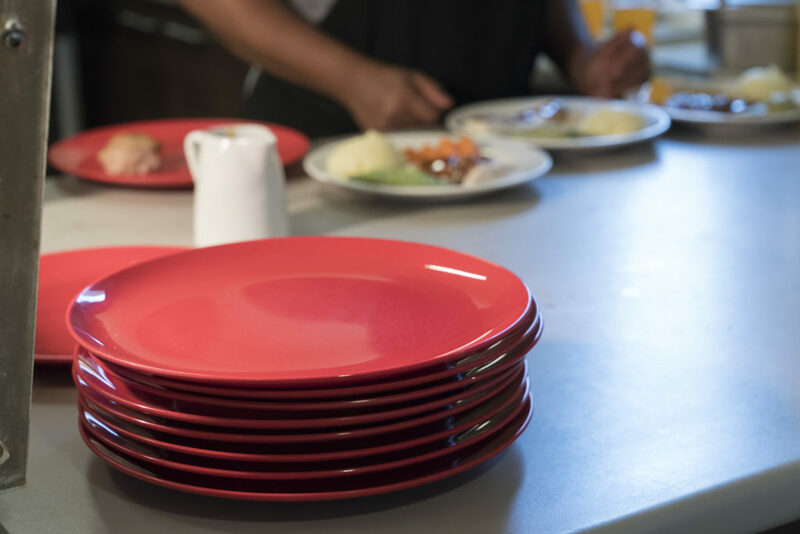 Achieving a balanced diet for people with dementia is challenging so we’ve developed an innovative approach for catering. This involves a mealtime routine which engages the senses and stimulates the appetite with a variety of tools such as a warm hand towel infused with lavender to stimulate appetite, colourful crockery to make it easier for residents to identify the food and figure food that residents can feed themselves without the distraction of cutlery. Our Club Service facilities offer appetising innovative nutritional choices for those on a pureed diet. Utilising food moulds healthy and nutritious purees are placed in moulds to produce a meal which resembles it’s original form, is easily consumed and aesthetically pleasant. Technology is also making inroads into helping residents to become more engaged and stimulated with the purchase of interactive projectors to create interactive walls and screens at Regis North Fremantle and Regis Port Macquarie. Resident’s can interact with the projection by drawing on the screen or playing games.